Another trend that is emerging is that people are choosing to growing cannabis at home. This is because they do not feel the need of running around a bunch of drug dealers. This could be extremely risky and the chances of getting caught increase. That is why people are preferring to growing cannabis indoors. In order for growing cannabis indoors, you would require a bunch of things. For marijuana growing supplies, first and foremost comes the seed. These can be easily procured for a small fee or sometimes even for free from a fellow cultivator or someone that has some weed for making a joint. Before making a joint, people make sure that they remove the seeds from the actual weed as seeds are considered harmful to smoke. If you can manage to procure seeds like this then it is well and good but if you can’t then you purchase them from a fellow cultivator at small fee. Once you have dealt with the seeds, for growing marijuana supplies, you can start by germinating the seeds. This can be easily done by taking the seeds and putting them in a moist towel or cloth. Please make sure that the cloth that you are using is not dripping wet but simply moist. When you have put the seeds in the cloth or towel to germinate, the waiting games begin. Normally, good marijuana seeds take a little over a day in order to germinate but it has been found that the seeds that can also take several days or a week in order to germinate. When the seeds have germinated, then to start to grow marijuana, you can put the seeds in a large container, in which you want to pot the plant. Make sure that the container is large as you would not want to transfer the plant from one pot to another as it might get damaged. Put the marijuana in the soil and cover it with some more moist soil. This is very important to speed the growth of the plant. When the germinated seeds are covered with soil, next comes the lighting part. It is all ways nice that a plant, including marijuana, get natural sun light. 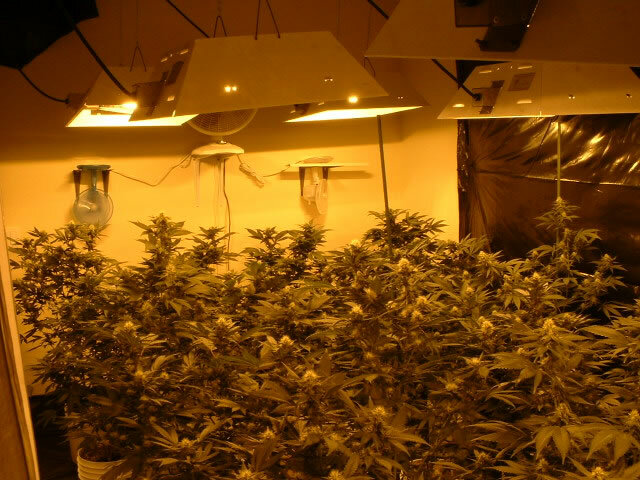 However, when you are growing an illegal plant like marijuana, it is advisable that you grow it in-doors. If you decide to grow the plant in-doors then it would be advisable to use Flourescent lights. When you have put the germinated seeds in a container and covered them with moist soil then you can expose the seeds to Flourescent lights by keeping 2 inches from the plant. Even after the plant starts to grow, keep the lights 2 inches from the ground. Marijuana grows well when plenty of light is provided to it. Other factors include using the right kind of soil to grow the plant. Make sure that is not acidic and should be moist. This entry was posted on Sunday, April 3rd, 2011 at 21:45	and is filed under Growing Marijuana. You can follow any comments to this entry through the RSS 2.0 feed. Responses are currently closed, but you can trackback from your own site.